Is Islam a Religion of Love, or is it a Religion of Fear? What do the word counts suggest? 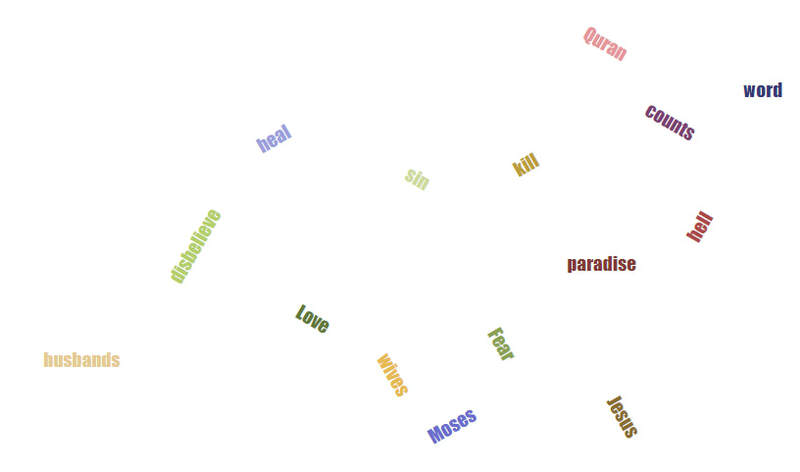 The word, "love," appears in 58 verses in the Quran. However, the words "fear" and "terror" appear 101 times, almost twice as much frequently as the word, "love." Let us explore this matter in greater detail. Very, very often the verses with the word, "fear," exhort the believers to "fear Allah." ALAS, THE WORD-COUNTER WEBSITE FREQUENTLY USES "OBSERVE" INSTEAD OF "FEAR." SECOND PROBLEM: sometimes "wives" is translated as "spouses" by the word count website.